Megan Kelly owns four bras. The mom of three — Elisabeth (5), Sara (3), and Noah (5 months) — used to have more lingerie. Until recently, she had more of pretty much everything: clothing, kitchen supplies, paper, books, and toys for the kids. Thinking of a home refresh or design? Maybe a downsize or upsize to a new home? Well, not so fast, say the tidying experts. A little spring-cleaning can provide a clear slate and a new perspective. Our guest today is Helen Youn is a professional organizer specializing in the KonMari Method™. Helen found this method as an overwhelmed new mom after reading The Life-Changing Magic of Tidying Up by Marie Kondo and decided to make a change. Too much clutter in your home can make you feel the same way you do after too much turkey dinner: stuffed and uninspired. Though it may have taken years to accumulate all those useful, somewhat useful and utterly useless items, you can get unstuffed in a fraction of the time by following a few simple guidelines. With over 15 years of experience working in Fashion, Design and Marketing, Helen Youn is a professional organizer who specializes in the KonMari Method™. Helen is a master at guiding and supporting people through this life-changing journey while transforming their homes in the process. Marie Kondo, c'est la reine japonaise de l'organisation, celle qui a réussi à rendre le rangement attrayant. Sa nouvelle série sur Netflix, sortie en janvier, relance le phénomène de la méthode KonMari en Alberta. Ce procédé consiste à ne garder que les objets qui apportent un sentiment de joie. Marie Kondo’s new show about the art of “tidying up” is sweeping the nation. We meet a local KonMari expert who will teach us about the joy of cleaning up! If you’re just not sure what to get rid of, then check out the home show session on the life-changing magic of tidying up. Having a clean house feels so good, doesn't it? Not just clean to the naked eye but really behind-the-scenes organized. Last year I did a closet cleanse and got rid of 266 items! (Read Closet Detox: Create a Wardrobe and Space You'll Love). The KNOW BOOK is an annual publication featuring 100+ dynamic women from virtually every industry. Every woman featured in KNOW has been vetted through peer-review. Because the mission is to showcase the best and brightest, the only way one can claim their slot is through nomination. Before I became a parent I had all these big plans. I was going to take care of myself and not lose my own identity so I can be a better parent to my child. I was going to eat healthy and cook all my child’s food from scratch. KonMari consultant Helen Youn helps moms find joy and reduce stress through decluttering. Here at Carda, we serve many blazing entrepreneurs who run enterprises of varying sizes. They succeed because of their ability to focus single-mindedly on their business goals and we applaud them for it. Why is decluttering so challenging? Top tips from local experts on how to feel and look better and have a happier life, a cleaner house, more time and more success. It will soon be time to pack up the decorations and to set yourself up for success next year, Helen Youn - Certified KonMari organization expert - is in with tips for protecting your decorations without taking up a lot of space. On today’s blog, we’re interviewing the first and only Certified KonMari Consultant in the Canadian Prairies, Helen Youn! Using Marie Kondo’s famous KonMari Method™, Helen works closely with her clients to help them transform their living spaces to achieve a relaxing home, and create a lifestyle that will bring them the most joy. Helen Youn, an organizational consultant, joins Global Calgary with some tips on how to declutter and get organized this fall. Using Konmari, the Japanese art of tidying on David's desk. 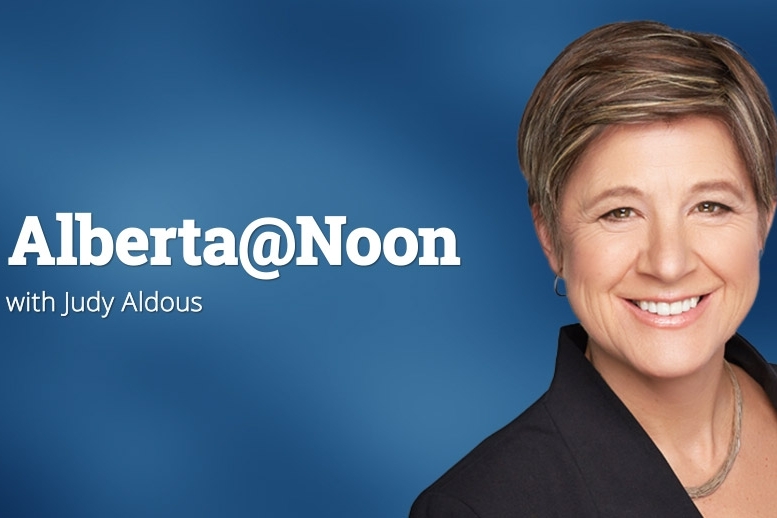 As Calgary's only KonMari Method™ Certified organizational expert, Helen Youn will be sharing secrets of the Life-Changing Magic of Tidying Up. It’s been a terrific summer, but like all good things, the end is in sight. 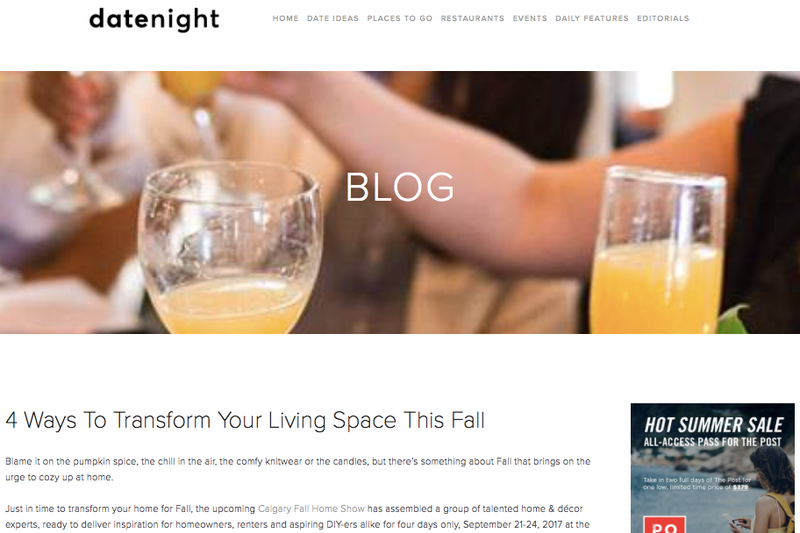 That means it’s time to get your home ready for the fall season and, ahead of the Calgary Fall Show, formerly the Calgary Home and Design show, three experts, who will be presenting at the show, offer these designer tips. Right before her appearance at the 2017 Calgary Fall Home Show, Calgary's only KonMarie certified consultant reveals that decluttering isn't about finding the right hack but asking the right questions. There are a lot of home and décor trends that come and go these days. But there is nothing like Marie Kondo’s organizational mantras that have transformed how people want to clean and tidy their homes all around the world. You may have heard it – it’s all about finding “joy” in the items we do keep. 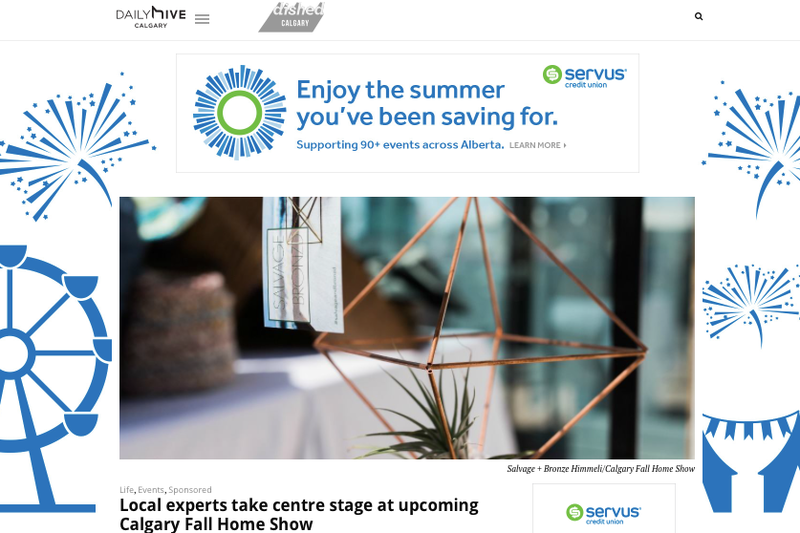 Some of Calgary’s top home, design, and DIY experts will be uniting at the upcoming Calgary Fall Home Show, back September 21 to 24, at the BMO Centre. The expert roster of homegrown talent are ready to offer up practical advice, tackle home reno questions and deliver inspiration for homeowners, renters and aspiring DIY-ers alike. Blame it on the pumpkin spice, the chill in the air, the comfy knitwear or the candles, but there’s something about Fall that brings on the urge to cozy up at home. 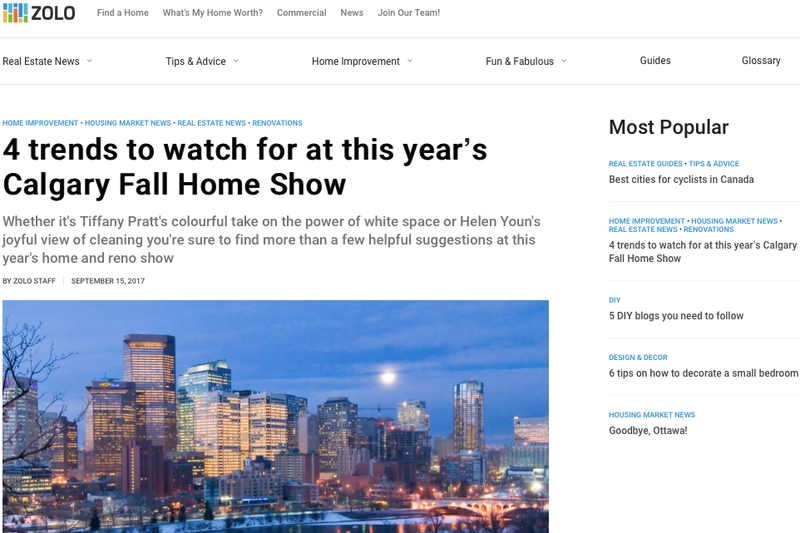 Whether it's Tiffany Pratt's colourful take on the power of white space or Helen Youn's joyful view of cleaning you're sure to find more than a few helpful suggestions at this year's home and reno show. Fall marks a great time to get back into a routine and get reorganized. With September right around the corner, Calgary-based organizational and tidying expert Helen Youn, the only KonMari Method™ Certified Consultant in the western prairie provinces, is sharing some of her key home editing and organizing insights. I have not always been a tidy person. Far from it! Growing up, I collected stationary and toys and stored them away because they seemed too precious to use. As I got older, those collections evolved into clothing, accessories, and makeup. I was more concerned about keeping my belongings pristine than I was about ever using them.